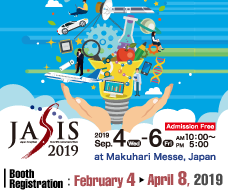 The Japan Analytical Instruments Manufacturers’ Association (JAIMA, 1-12-3 Kanda Nishikicho, Chiyoda-ku, Tokyo 101-0054, President: Gon-emon Kurihara, Representative Director and President of JEOL Ltd.) will hold a JAIMA SYMPOSIUM at “Pittcon 2019”, the world’s leading annual conference and exhibition related to laboratories and laboratory equipment (March 17 through March 21, 2019, Philadelphia, Pennsylvania, USA). The theme of this symposium will be “Analytical Solutions for Biopharma and Biotherapeutics”, in which we will introduce the latest analytical solutions for drug development in biopharmaceuticals and biotherapeutic agents. This will be JAIMA’s third time hosting this symposium, continuing with the same theme that was well-received at both Pittcon 2017 and 2018. In addition, this year we will be collaborating with ETC™ (Enabling Technologies Consortium) to hold the first ever ETC-JAIMA Luncheon Seminar. At this Luncheon Seminar, ETC and JAIMA will give respective presentations about the upcoming collaborations between our two organizations. 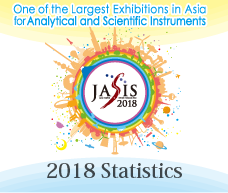 Through this symposium and seminar, JAIMA will disseminate information about the latest analytical solutions related to biopharmaceuticals and biotherapeutic agents both in Japan and overseas to CROs, CMOs and pharmaceutical manufacturers who will participate in Pittcon 2019 from countries around the world, as well as showcasing a JAIMA booth at the exhibition. Going forward, we aim to target revitalization of the domestic Japanese analytical industry through further overseas business development.